Was your child seriously injured in any kind of accident caused by the negligence of another party? You could be entitled to compensation for your past, present, and future needs. Farris, Riley & Pitt, LLP fights for families all over Alabama affected by child injuries. Our firm can conduct a complete and independent investigation of your accident and work to make sure all negligent parties are held fully accountable. Parents do not need to see their child suffer from the irresponsible actions of a company or an individual. Injuries to children are often the most traumatic, devastating, and life-altering injuries that we see in practice. When a child is injured or hurt, everyone hurts. In extreme cases, serious injuries can occur, involving serious pain and suffering and medical treatment. For some, long-term care may be required. If your child has been seriously injured, contact our Birmingham child injury lawyers today. Our attorneys have experience helping injured children and can discuss your case at no cost to you. Call (205) 324-1212 today. Why Do I Need a Child Injury Lawyer? Chances are very good that if your child was injured by another party’s negligence, you will be contacted very shortly thereafter by that individual’s insurance company. Agents for insurers will often seem genuinely concerned about your child’s health, and they may express a willingness to make sure you and your child are taken care of. These representatives may also discourage you from hiring an attorney. Sometimes, they will do this by telling you that not retaining legal counsel will allow you to keep all of your money for yourself. These suggestions are deliberately misleading, as the reason insurance companies hate having to deal with lawyers is that lawyers actually know what victims’ cases are worth. People who do not have attorneys are typically unaware of the true value of their claims and are, thus, much more likely to accept settlement offers that are almost always significantly less that what victims are actually entitled to recover. You should avoid speaking to any insurer until you have legal representation. Contact Farris, Riley & Pitt, LLP as soon as possible. Our firm can handle all phone calls from insurance companies on your behalf so you do not have to worry about unknowingly making any recorded statements that ultimately damage your claim. We can engage in settlement negotiations, and Farris, Riley & Pitt, LLP will not hesitate to file a lawsuit when the insurer proves incapable of providing a satisfactory offer. Our firm is committed to helping residents of communities all over Alabama, as Kirby Farris and Ken Riley were both born and raised here. Both attorneys and their families are Birmingham residents, and the people they represent are friends and neighbors. Kirby Farris received his undergraduate degree from the University of North Alabama and his law degree from Birmingham School of Law, and Ken Riley obtained his business degree at the University of Alabama before earning his Juris Doctor from Cumberland School of Law at Samford University. Both are admitted to United States District Court for the Southern District of Alabama, the United States District Court for the Northern District of Alabama, and the United States District Court for the Middle District of Alabama, in addition to the Alabama Supreme Court. 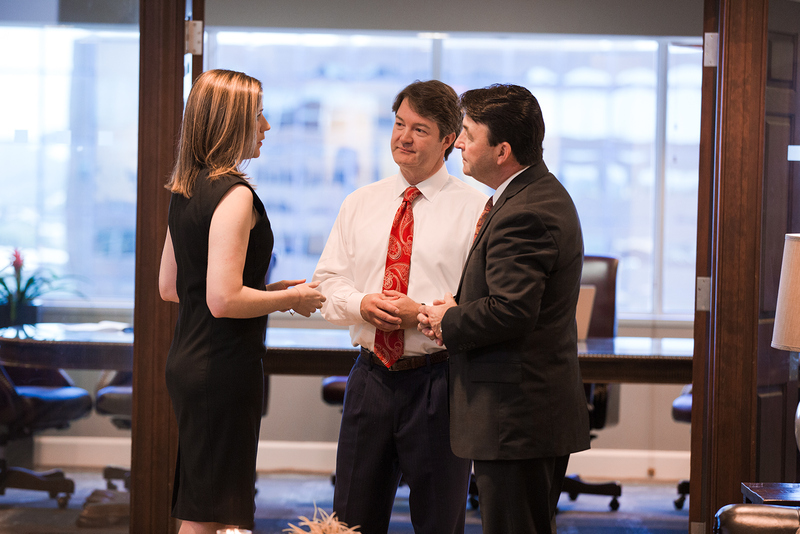 Mr. Farris and Mr. Riley are also both members of several prominent legal organizations, such as the Birmingham Bar Association, Alabama Bar Association, and American Bar Association. Our firm also has a record of success that includes several multimillion dollar verdicts and settlements. In caring for your child’s injuries, you have likely incurred several unexpected expenses and may be thinking that you cannot afford to hire a lawyer. Do not let these concerns prevent you from contacting Farris, Riley & Pitt, LLP, as we represent all clients on a contingency fee basis. In other words, you only pay if you get a financial award. Children can be injured in a wide variety of circumstances. Even in cases where a child’s injuries were directly caused by their own actions, a person may have been legally responsible for ensuring that the child did not engage in potentially dangerous forms of behavior. Automobile Accidents — Children are at great risk in automobile accidents. Their small bodies aren’t as able to absorb the impact of an accident as adults, and they can suffer severe injuries. Motor vehicle crashes are frequently the leading cause of child injuries on an annual basis. Bicycle Accidents — Smaller children ride smaller bikes, and these kids can be more difficult to see for motorists who are not fully engaged in the process of driving. Bicycle accidents can result in serious and sometimes fatal injuries to children. Your child is no match for a drunk or texting driver behind the wheel of a car or truck. Boating Accidents — Children can be seriously hurt in boating accidents. They are at great risk of being thrown from the boat, suffering a brain injury or drowning. Some of these types of cases may involve complex maritime law issues for which you will most certainly want experienced legal representation. Brain Injuries — Children are susceptible to traumatic brain injuries, especially when they are young. Concussions from sports, birth injuries, near drowning, and car accidents are dangers that face kids and worry parents. Many TBIs involve lifelong complications. Burn Injuries — Millions of children suffer burn injuries each year, and dozens die from burn-related injuries every day. Serious burn injuries not only involve agonizing pain and suffering, but some also result in disfigurement. Camp Accidents — Fun activities become dangerous for children when there is insufficient supervision at camp. When a camp is careless, a child may drown, fall off a horse, or sustain serious injuries playing sports. Child Crib Accidents — Cribs don’t always protect your children. Crib accidents caused by manufacturing defects and safety violations injure thousands of children each year. Drop side cribs are especially dangerous. Day Care Abuse — Many children experience neglect and abuse at day care. Nannies and day care centers may sexually, emotionally, and physically abuse defenseless infants and children, causing serious, lifelong injuries. Defective Toys and Products — Dangerous toys can cause lead poisoning, choking, burns, and other serious injuries to small children. Children are hurt every day by hazardous toys with design defects, some of which should be recalled. In many cases, manufacturers can be held liable for defectively designing or manufacturing these products or failing to include a warning about potentially dangerous misuses. Drowning Accidents — Children have a high risk of drowning accidents because they can drown not just in a pool or the ocean, but also in small amounts of water like the bathtub. Children require constant watching, and poor supervision causes many accidents. A child’s drowning accident can result in injuries like brain damage, coma, and seizures. Electrocution Injuries — Children playing with outlets and appliances can result in serious injuries. Electrocution can cause internal and external burns and, sometimes, death to a small child. Lead Poisoning — Lead found in toys, paint, and soil can cause cognitive problems, irritability, abdominal pain, and fatigue in children, especially if they are young and their bodies are rapidly developing. Mercury Poisoning — Children who have mercury poisoning can experience serious illness, memory loss, and sensory impairment. Unborn babies and children are at higher risk of poisoning because their brains are rapidly developing. Paralysis — Infant paralysis from cerebral palsy or a birth injury can lead to a lifetime of suffering. Child paralysis from a car accident or a fall at a friend’s house results in years of expensive medical treatment and therapies. Prescription Medication Error — Children can easily become seriously ill from even small medication errors. The wrong dosage or medicine may cause grave and even fatal injuries. Certain parties may be liable for allowing a minor to have access to dangerous prescription drugs. School Crosswalk Accidents — School crosswalk accidents that injure children can be caused by distracted drivers, poor supervision, broken traffic lights, and more. A child in a crosswalk is unprotected and can suffer severe injuries. Suffocation/Strangulation/Choking — Babies and small children can easily choke, suffocate, and become strangled by everyday household items. Improper supervision, as well as defective manufacturing, can contribute to the injuries and fatalities caused by things like blinds and crib accessories. Swimming Pool Accidents — Swimming pools are rife with danger, and pool accidents injure thousands of children each year. Someone is often found to have been careless when a child is injured in or around a pool. Common causes of these types of accidents include inadequate supervision, improper maintenance, or failure to warn of danger. Every accident is different, and determining exact causes can often be quite complex. In some instances, multiple parties could bear potential civil liability. When my child is the injured party, are they also the person who files suit? In most cases, a parent or legal guardian will file a legal claim on the child’s behalf. The case and any damages awarded will be based on the child’s injuries. Alabama has a statute of limitations of two years on all injury claims, but it is important to note that one exception to this limitations period concerns accident victims who are minors. In such cases, the statute of limitations may be tolled, or delayed. You’ll definitely want to have an experienced attorney evaluate your own case to determine the particular time limits that apply and the most advantageous time to file. What kinds of injuries can children suffer? The nature of a child’s injuries will depend on the type of accident they are involved in. Some of the most common kinds of injuries involve fractures (broken bones), sprains, and soft tissue injuries. Other more serious forms of harm may include neck injuries, TBIs, and spinal cord injuries. Some injuries may involve amputation or disfigurement. Burn injuries often involve several months or years of rehabilitation with potential lifelong complications. The most severe cases can result in coma or death. How traumatic will a legal claim be for my child? Generally, it should not be stressful at all. Most courts limit the involvement of children in these cases, as most proceedings solely involve the adults. A child may be the cause of a legal action, but it is typically understood that a minor is not legally capable of negotiating a settlement. According to the Child Welfare League of America, Alabama had 22,067 referrals for child abuse and neglect in 2015, and 21,722 of those reports were referred for investigation. That same year, the state had 8,466 victims of abuse or neglect, 52.1 percent of whom were physically abused and 17.4 percent who were sexually abused. Child abuse or neglect resulted in 13 child deaths in 2015. The 2015 Alabama Traffic Crash Facts from the Alabama Department of Transportation found that children 15 years of age and under accounted for 21 percent of the 185 bicycle crash injuries and nine fatalities in 2015. The report also stated that only 20 percent of children involved in motor vehicle crashes were not in a child restraint, but 100 percent of child fatalities were not properly restrained. A 2015 fact sheet from the Children’s Safety Network National Injury and Violence Prevention Resource Center showed that motor vehicle traffic incidents were the leading causes of death and hospital-admitted injuries in 2011 for every age group older than 5 years of age. Unintentional injury was the leading cause and total five-year incidence of deaths between 2008 and 2012 for all age groups older than 1 year of age. According to the Alabama Child Death Review System, there were 804 infant and deaths of children under the age of 18 in 2010. There were 785 infant and child deaths in 2011. The annual report for these two years found that accident was the most frequently reviewed manner of death in both 2010 and 2011. Motor vehicle involvement was the most frequently reviewed cause of child death from an injury in 2010 (37 percent) and 2011 (29 percent). ACDRS reviewed 60 cases involving motor vehicles in 2010 and 35 cases in 2011. In 2010, 17 motor vehicle-related deaths (28.3 percent) were caused by speeding, nine were the result of reckless driving, and four (6.7 percent) were caused by driver distraction. In 2011, two deaths (5.7 percent) were the result of speeding, four were caused by reckless driving, and three deaths (8.6 percent) were the result of cell phone use while driving. ACDRS reviewed 12 drownings in each 2010 and 2011. Eight of these drownings (66.7 percent) occurred in a swimming pool, hot tub or spa, two deaths (16.7 percent) occurred in open water, and one death (8.3 percent) happened in a in a bathtub in 2010, while seven drownings (58.3 percent) occurred in a swimming pool, hot tub or spa, three deaths (25 percent) happened in open water, and two fatalities (16.7 percent) occurred in a bathtub in 2011. Farris, Riley & Pitt, LLP has been fighting for families in communities throughout Alabama for over two decades. Our firm knows and understands the wide range of concerns all parents have when their child has been seriously injured. Did your child suffer severe injuries in an accident caused by another party’s negligence in Jefferson County? Call (205) 324-1212 or contact us online to have Farris, Riley & Pitt, LLP review your case and help you understand all of your legal options during a free consultation.